What would be the estimated total cost to go from a stock 1997 7.3 v8 crew cab long bed dually 4x4, to reach 1000hp with the 900hp swamps performance package and transmission and torque converter capable of handling and the rebuilding of the motor and cooling systems involved and along with everything else? Also would it be better or good or would it necessary to get the swamps 7.3 competition crate engine for this? Or cheaper or can simply be done without? I don't care about the mpg of all things just simply curious that's all, I know this is all going to take me several years to complete I just want to make my dream truck before I die, already have a job I would be cool with making a career in and have another truck as my daily driver, and a house close to my work. So pretty much aside from rent, groceries, monthly boxing gym dues, occasional dirt bike maintenance, putting some money in savings, all my money is going to be poured into making this truck a reality. Any solid help, advice, and genuine input from the wealth of knowledge that some people actually are on here, i would greatly appreciate the info. Lastly would it be good to get the hypermax inline pump engine conversion on the swamps diesel competition crate engine and pair the swamps 900hp performance package with that? Or simply just get the 900hp swamps performance package and manage that way? The HEUI system is limited to maybe 700. Your gonna need probably 50,000 to get 1000. Your either gonna have a competition only truck or a daily driver truck with smaller injectors. The Hypermax in-line pump is also a competition only package. Talk to this guy. I’m pretty sure he’s a member on here. But he kinda breaks the whole rule of single thing dedicated high horsepower 7.3. And it’s heui. Granted the big number was ghetto fogged but it did it and lives. Alright thanks, how i search for the dude on here? 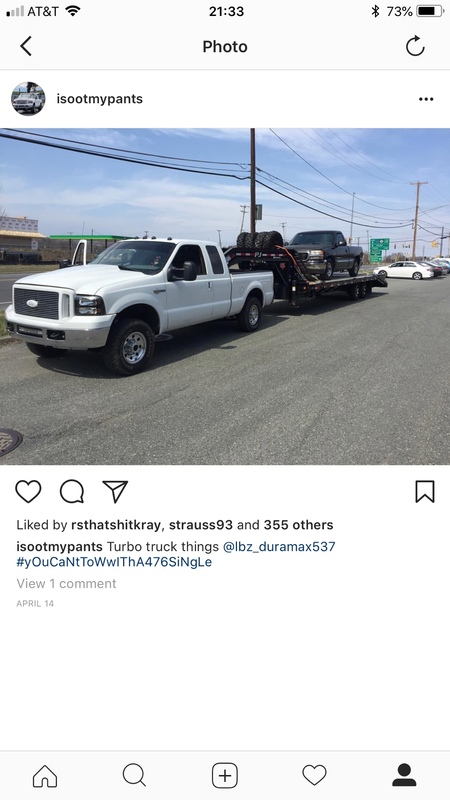 I see a bunch of local truck mechanic shops specializing in powerstroke performance but i would much rather send my truck off to be professionally worked on and built by someone far more credible and reputable no matter the distance. Smokinstroker92 is Zack pierce. Send him a msg or look him up. And of course Swamp’s is easy to find. 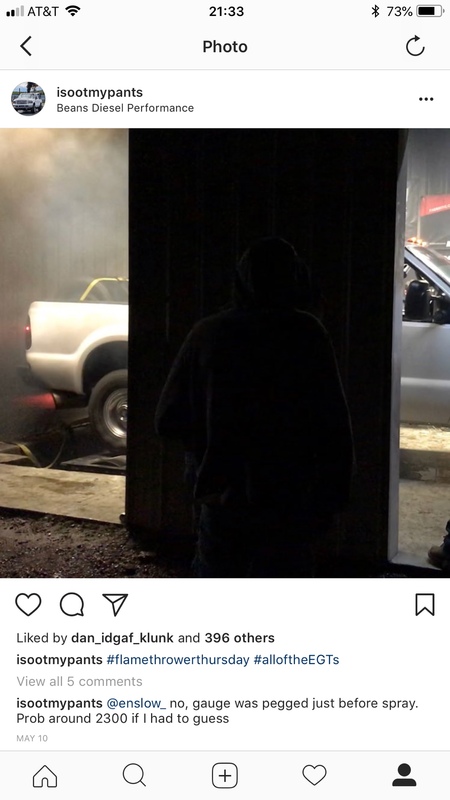 One thing to keep in mind is that Swamp's uses an engine dyno. Most posted hp readings here are in rear wheel hp. There's about 15-20% powertrain loss so that 900hp is about 720-765 rwhp. 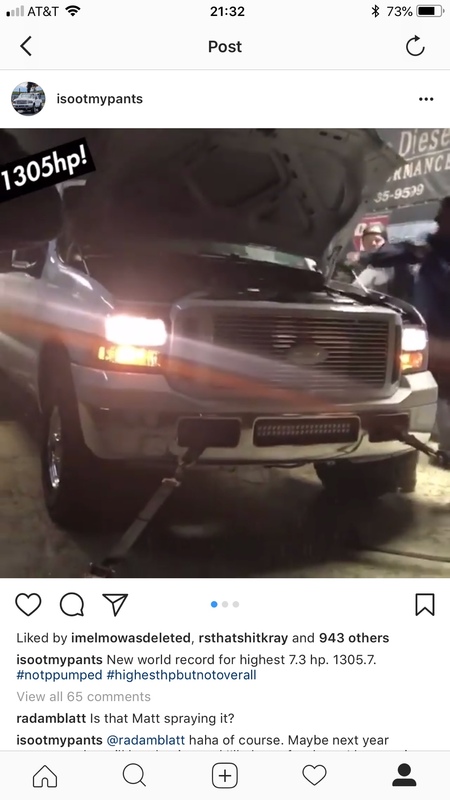 A long time ago, JDub built a 7.3 with about 550-600hp on fuel that he gassed up to over 930hp to give you an indication of what nitrous will do to a perfectly streetable engine. 248cc B-codes, ported heads and a KASB turbo. awesome, all good to know thanks. I would recommend calling Swamps and talking to them about your goals. I shipped 2 trucks across the country to them back in the day. Dave took great care of the whole thing and I ended up with a kickass ride out of it. I wouldn't hesitate to do it again (I type this as I am considering what to do with my 6.4). 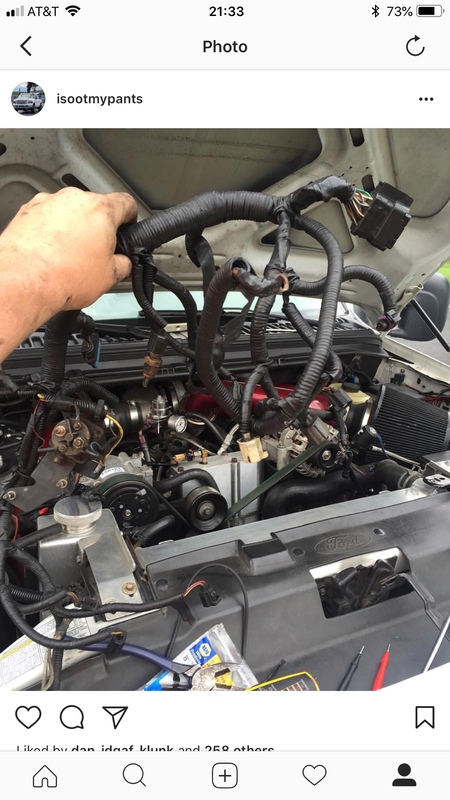 It takes money to play with diesels - no 2 ways about it.